Here's an outfit I wore way back when but never got around to sharing. 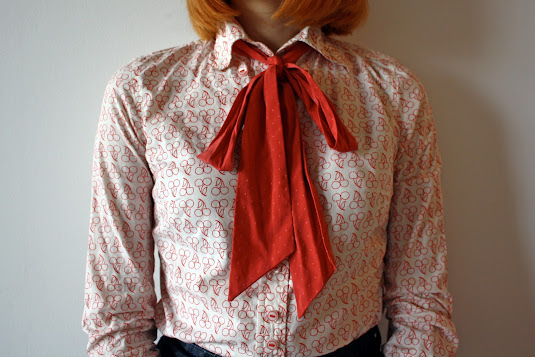 The cherry shirt and bow-tie really capture the quirky side of my style. Thanks for bearing with me while it's been so slow around here. I've been afflicted with various ailments, but everything's looking up! Happy Friday! Ooh that cherry shirt is too cool for school! I have a nice little tight collection, but I NEED navy blue now. This is so cute! I LOVE the bow and the print on that blouse. Hope you start to feel better soon! First of all, I love your haircut. Second - that cherry shirt is adorable! It looks so good with the bow tie. 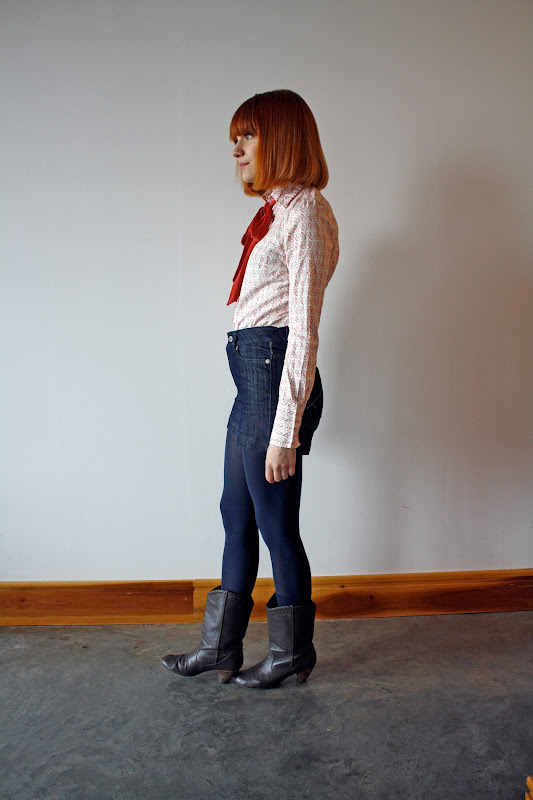 Such a cute and fun little ensemble -- I feel like only you could pull this off! I love the cherry shirt! And the bow--I have something like that I've been trying to figure out how to wear for a while. You do it well. This is so so cute and definitely something I would wear. I love the patterned blouse with that tie. And the high-waisted shorts look great on you too!